Home Local News WATCH! ANTI-DUTERTE RADIO DJ MO TWISTER NAPAHIYA AT SINUPALPAL NG CO HOST SA SHOW 1. WATCH! 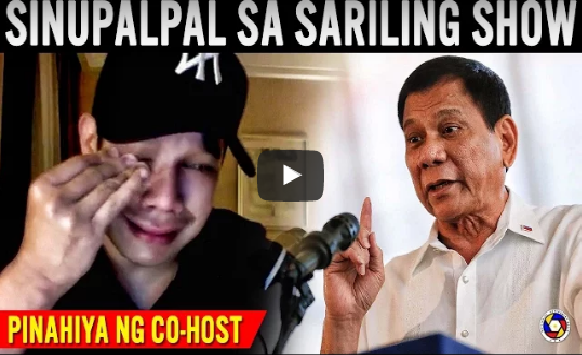 ANTI-DUTERTE RADIO DJ MO TWISTER NAPAHIYA AT SINUPALPAL NG CO HOST SA SHOW 1.